It's time to break the ice (literally) on that long-awaited trip to the white continent, Antarctica! Here, you'll find some helpful information for planning your trip, including everything from where to start planning to the more specific Antarctica travel FAQs & which ship to choose. The highlight of most Antartica tours is seeing the tough Antarctic wildlife like penguins, seals, seabirds, and a variety of other whale species, among others. Of course, a trip to Antarctica could also feature stops in South Shetland Island & the Falkland Islands or even Chile and Argentina, and our staff has put together some great resources for those destinations as well. 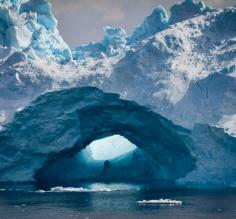 Antarctica is a continent of extremes. It holds the title of coldest, driest and windiest location on earth. Temperatures have been recorded as low as -129 degrees F, with winds blasting along the coastline at speeds up to 200 mph. Its average interior precipitation is less than a couple of inches per year, making Antarctica a peculiar and brilliant frozen desert of snow. 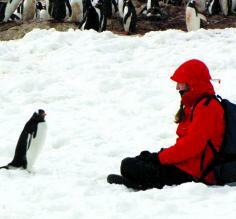 But even in such harsh conditions, Antarctica remains the home of a large variety of extraordinary wildlife. 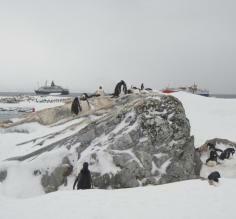 Wildlife in Antarctica is most active in the austral summer months. During this time seals, whales, penguins and a large diversity of other seabirds migrate to the continent to breed and feed on the virtually unlimited supply of krill, crustaceans, and fish. Each summer month has its own unique wildlife viewing opportunities not to be missed. Mating season rocks. 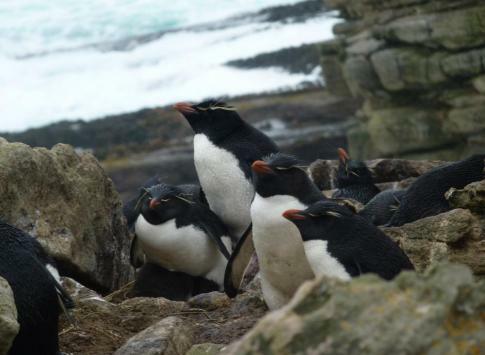 We saw displays of Gentoo penguin courtship that were almost too personal to have witnessed. Antarctica is the coldest and driest continent and all creatures that venture upon land are considered extremophiles due to the extreme climate. Very few animals or plants live on land, and most that do are partially terrestrial and heavily dependent upon the ocean for food. Only 0.34% of its area is ever free of ice or snow leaving a tiny amount of soil for terrestrial ecosystems. No or limited light during the winter months puts further stress upon plants. 90% of the world's ice, which represents 70% of the world's fresh water is on the Antarctic continent, yet one of the major factors limiting life here is lack of water. The ice depth averages 1 mile (1.6km) thick, and if the Antarctic ice shelf melted the world's oceans would rise approximately 200 feet (60 meters)! Penguins spend over 75% of their lives as sea where they are most comfortable, as their bodies are designed for swimming, or more precisely, flying through the water. Powerful paddle muscles and a compact hydrodynamic body shape allow penguins to swim up to 25 mph. By contrast penguins awkwardly waddle and hop once ashore. Seventeen species of penguins can be found in the subantarctic regions only four types of penguins breed on the continent itself: the Emperor, Adelie, Chinstrap, and Gentoo penguins. Read more about the penguins of Antarctica. Whales are divided into two main groups: toothed and baleen. The only toothed whales found in the Antarctic are the Orca and the Sperm whale, while a variety of baleen whales are regularly sighted: Blue, Fin, Humpback, Minke, Sei, and Southern Right. The Southern Bottlenose, Arnoux's beaked whale and even the southern hourglass dolphin are also present but very rarely spotted. Unlike the other wildlife of Antarctica, whales do not breed in the region. However, they do take advantage of the nutrient-filled waters in the austral summer, traveling great distances from their temperate breeding waters in the north. Like seals, several species of whales were hunted until near extinction in the mid-1900s. While regulations have been placed on whaling activities, these magnificent giants have not seen their populations recover as well as the seals. Today, the entire area surrounding Antarctica is recognized as a whale sanctuary. Read more about whales in Antarctica. Millions of seabirds breed along the coast and offshore islands of Antarctica. To survive in the biting environment, Antarctic birds have waterproof plumage and large compact bodies with a dense layer of fat under their skin. There are 46 species of birds that inhabit Antarctica including penguins, albatrosses, cormorants, petrels, bitterns, shearwaters, herons, egrets, ducks, geese, swans, sheathbills, skuas, jaegers, and gulls. There are nineteen species of seabirds that breed along the continent. 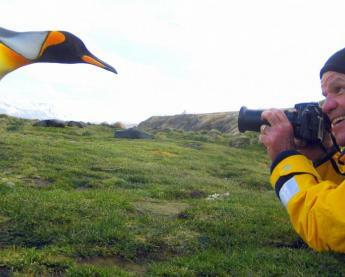 Due to the shortage of snow-free nesting regions, most seabirds tend to procreate in large, impressive concentrations making for ideal viewing conditions for the bird enthusiasts. The birds will migrate north as the summer months come to an end, spending the winter in more temperate climates. Read more about Antarctic birds. 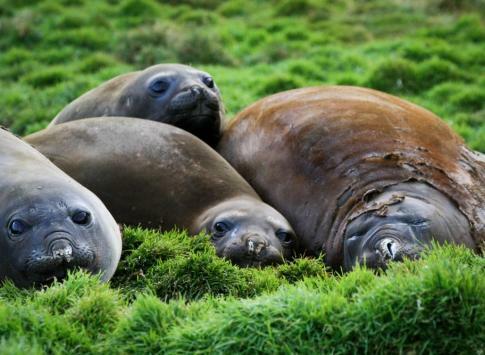 Six species of seals live in the Antarctic: The Weddell, Ross, leopard, crabeater, leopard, fur and the giant elephant seals weighing up to 4000 kg, almost 9000 pounds! 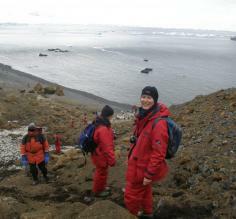 Much of the early exploration of Antarctica and the Southern Ocean was do to the search for new seal communities. During the 19th and 20th century, many seals were hunted for their valuable skins and oils. Entire populations of species were driven to the brink of extinction. Thankfully, today, the seals are protected by a collection of agencies, and their numbers have continued to thrive. Because of the nutrient-rich feeding regions, and the lack of polar bears, the Antarctic has a much larger seal population than the Arctic. 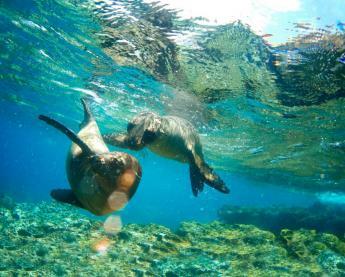 Most of the their life is spent in water, but seals must return to land to breed. The best locations to view their breeding grounds are on the pack ice surrounding Antarctica, or along the coastal shores of the northern islands. Read more about Antarctic seals. 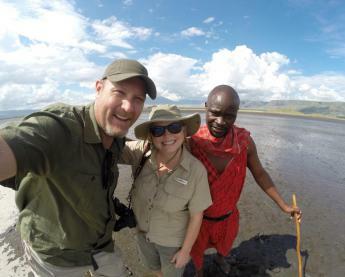 In the morning we took the zodiacs to Gold Harbour where huge elephant seal males grunted and sneezed and fought each other for the nearby females. The term "Polar Opposites" surely originated from the North Pole and South Pole, but besides being on opposite sides of the planet, there are many other less-obvious differences between the poles. Geography - Antarctica is a land mass, a continent. Whereas the Arctic is an ocean surrounded by continents. Climate - OK, they're both cold, but Antarctica is much colder, windier, and much, much drier. 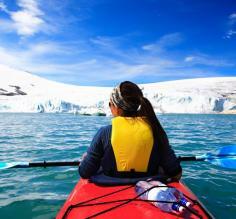 Travel - Both the Arctic and Antarctic are accessed by expedition cruises. Antarctica is accessed primarily from the southern tip of South America, while most in North America and Europe have quicker access to Arctic cruise ports. 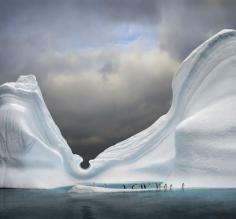 Read more about the differences between the Arctica & the Antarctic here. 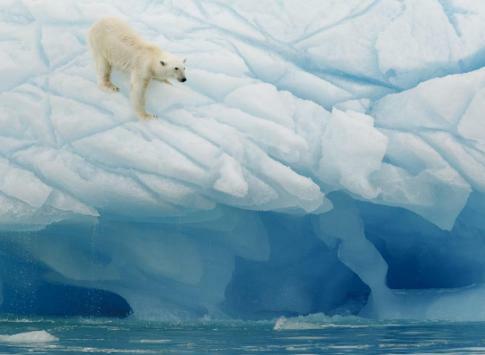 Over 235 marine organisms live in both Arctic and Antarctic polar regions. How did these creatures bridge a distance of 12,000 km (7,450 miles) across the equator between the poles? Some large animals like whales and birds make the round trip every year, but sedentary sea cucubmers who dwell on the ocean floor, for example, how did they get on opposite poles? The answer may lie in the surprisingly slight variation of deep sea temperatures between the poles and the Equator of only about 5 °C. Sea cucumbers thrive in the Galapagos Islands, for example, right on the Equatorial line. Additionally, the major ocean currents have been shown to act as a marine conveyor belt transporting eggs and lavae vast distances. 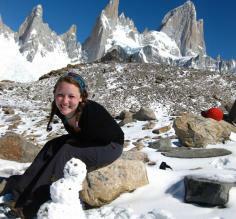 Adventure Lifer Sullivan shares her wisdom about what to pack on a tour of Antarctica. Obviously, you need to be prepared for cold weather, but to be truly prepared for Antarctica, read this.